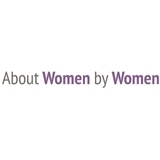 About Women by Women (Wellesley) - Book Appointment Online! Dr. Portnoy was prompt for the appointment. Many doctors make you wait in the room for quite some time before seeing you. She is very personable and gave me her full attention.